Dan Dare and Flash Gordon are two of the most iconic and influential comic book characters. They have helped to shape science fiction itself across many different mediums for more than half a century. Everything from Doctor Who, to Star Wars, to Superman owes a lot to Dan Dare and Flash Gordon. Flash Gordon originally began in 1934. It was created by Alex Raymond. The premise revolved around Flash Gordon, a yale University Graduate and Polo player, as well as a young woman named Dale Arden and a scientist named Dr Hans Zarkov and their adventures on the planet Mongo. Their adventures begin when Mongo threatens to collide with the earth. Zarkov who is at that point half insane, captures Flash and Arden to help him use his rocket to travel to the planet to prevent the collision. Once there though they manage to stop the collision, they soon come into conflict with the evil tyrant Ming the Merciless, who falls in love with Arden. The trio battle against the ruthless despot with the aid of several of the planets people, including Prince Vultan ruler of the Hawkmen, and Prince Thun leader of the Lion men. Eventually Ming is overthrown and later issues would see Flash battle new enemies and travel to many other planets. Dan Dare began in April in 1950. It was created by Frank Hampson. It was set in the then future of the 1990’s. It revolved around the space pilot Dan Dare and his team which consisted of his batman, the slow witted but well meaning Digby and the scientist Professor Joceyln Peapody. In their first adventure they travelled to the planet Venus where they encountered the evil Treens, cold, logical, ruthless and xenophobic creatures who plan to invade and conquer humanity. Dare convinces the Therons, the blonde peaceful inhabitants of the planet to help him fight against the Treens, who are ruled by the monstrous Mekon. A creature with a vast intellect and an atrophied body. After Dare and his men leave Venus they go on many more adventures, battling various threats and monsters until Dare is forced to travel to the planet Cryptos to help its people against the evil Phants. Dan is away for 10 years and when he finally returns to earth he discovers that the Mekon and the Treens have conquered the planet with the aid of their new robotic servants. Dare frees the earth from the Mekon who escapes back into space. The Mekon vows revenge and continues to battle Dare across many subsequent issues. Though Dare had many other enemies such as the evil Xel. The Mekon was by far his most recurring and iconic. Both strips in their heyday were massive successes, though of the two of them Flash Gordon had a much bigger life outside of the comic book medium. 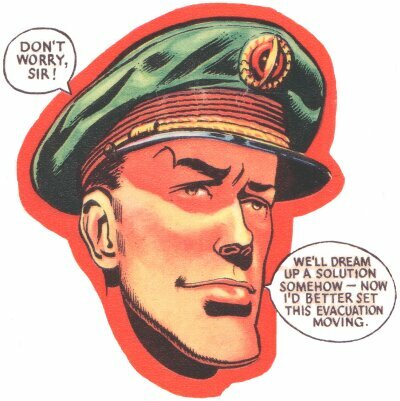 There has sadly never been a live action version of Dan Dare, whilst there have been many serials, films and television series base on Flash Gordon. Still both characters remain sci fi and cultural icons, and over the years they have often been compared to on another, with many seeing Dan Dare as being the British Flash Gordon. Such comparisons are valid to some extent, as Flash Gordon along with Buck Rodgers was the greatest influence on Dan Dare. In this article I will be comparing them as well as their supporting characters and adversaries side by side to see which I find to be superior. Obviously I mean Dan Dare vs Flash Gordon rather than Elton John vs Queen. The Mekon is Dan Dare’s archenemy. He is a genius with a massive enlarged head and a body that has become so weak, he has to fly around on a levitating chair. He is the tyrannical ruler of the Treens, a race of green skinned Venusians who rely solely on logic. Though the Mekon claims to be above petty human emotions, he is nevertheless shown to develop a personal hatred of Dare and eventually becomes obsessed with destroying him. The Mekon was something of an intergalactic fuhrer figure as the Treens were based very heavily on the Nazi’s. The Mekon would go on to inspire other villains including most notably Davros, the evil creator of the Daleks in Doctor Who. Not only was Davros’s character based on the Mekon but his design was too. Many fans over the years have said that Davros is essentially the closest thing to a live action Mekon there has been. He should have shot Davros but that’s besides the point. The Mekon also inspired other Doctor Who villains such as the Cyber Controller and Sil. Sil’s basic look, a repulsive little green monster with a big head and an atrophied body is obviously similar to the Mekon. The Cyber controller meanwhile was originally intended to be a small creature with an enlarged head, that flew around like the Mekon, but the budget would not allow it. He was still given a large brain like the Mekon however. The Cyber controllers large brain was based on the Mekon’s look. Kit Pedler, the creator of the Cybermen was a massive Dan Dare fan and hoped that the Cyber controller would serve as a Mekon like figure to the Doctor, a figure head to the race of monsters he regularly fought who was a nemesis for the Doctor. Ironically whilst the Cyber Controller never really took off (he only appeared in one more story 2 decades later) the Daleks would gain a Mekon like figure in the form of Davros. Ming the Merciless Flash Gordon’s archenemy was a much more human character than the Mekon. I think the differences between the Mekon and Ming sum up the differences between villains in American science fiction and British science fiction quite nicely. In British Science fiction series like Doctor Who, the villains tend to be monsters like the Daleks, the Cybermen, and even Davros who though humanoid is still a monster too. In American science fiction however they tend to be more human. Look at the aliens in Star Trek like the Klingons and the Romulans for instance, and then compare them to say the Daleks. Even in later Star Trek series, aliens like the Cardassians look and act completely human. They just basically have bumpy foreheads. Naturally Ming therefore is more human, not only in terms of appearance but in terms of characterisation too. Ming is madly in love with Dale Arden and frequently attempts to marry her despite the fact that she finds him utterly abhorrent. Ming rules over the planet Mongo with an iron fist and all of the early Flash Gordon strips involved Flash and his allies trying to overthrow him, or having to rescue Dale from his clutches. Eventually he was overthrown, but not only would he return as a recurring enemy in later stories, but his son the evil Kang would also go on to become a major foe of Flash Gordon too. Ming has appeared in virtually all adaptations of Flash Gordon. Arguably his most famous portrayals however are Charles B Middelton’s performance in the original Flash Gordon serials, and Max Von Sydow’s performance in the 1980 film adaptation. Max Von Sydow in the 1980 Flash Gordon film. Much like the Mekon, Ming would go on to inspire other iconic villains in popular culture. 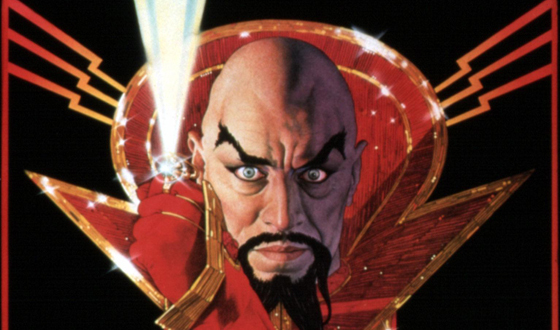 Star Wars villains Darth Vader and Emperor Palpatine were both, according George Lucas based very heavily on Ming the Merciless. So which is better then? Well for me it has to be the Mekon. I must admit I have never been that keen on villains whose whole thing is that they are in love with the main hero or the heroes love interest. To me they always come across as a bit more pathetic than villains like the Mekon who has much bigger plans than just to steal the heroes girlfriend. With the Mekon and Dan Dare you had two characters with completely different ideals to one another, and so their rivalry for me had more scope, than fighting over a girl. Of course that’s not to completely dismiss Ming, who is obviously a good foe in a number of other ways for Flash, but I think the Mekon overall is a much better character. I think the proof of that is the fact that the Mekon in some ways completely overshadowed Dan Dare himself in terms of popularity with readers. Elton John even jokes about this in his song about Dan Dare “Dan Dare doesn’t know it, he doesn’t know it, but I like the Mekon”. It was also the Mekon who appeared in Empire’s list of greatest comic book characters not Dare. I don’t think you can say that Ming was ever really more popular than Flash and many Flash Gordon strips even replaced Ming as the main villain. Obviously Ming is still an iconic villain, but ultimately I think that the Mekon made a bigger impact among readers. 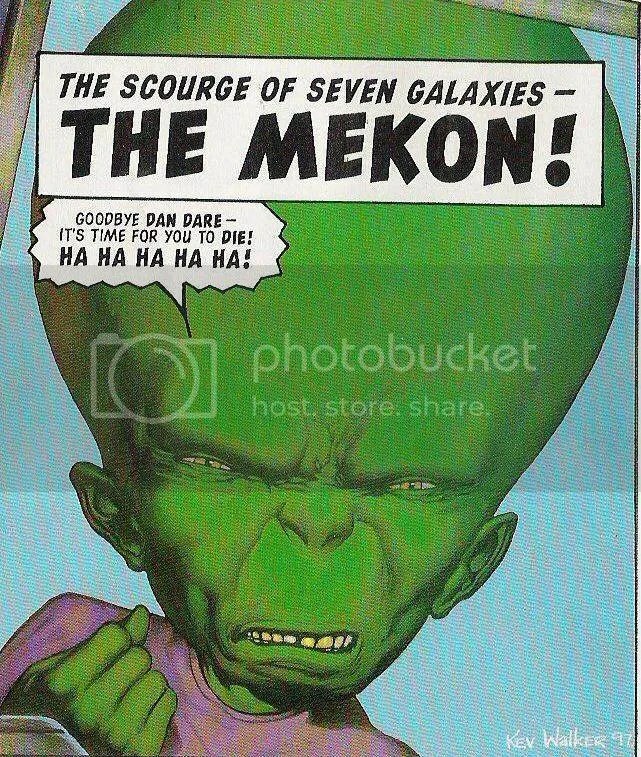 Anyone who is my age, in their early 20’s, ask your parents about Dan Dare and I guarantee the thing they will remember the most, possibly the only thing they will remember is the Mekon. So I am giving this to Dan Dare. 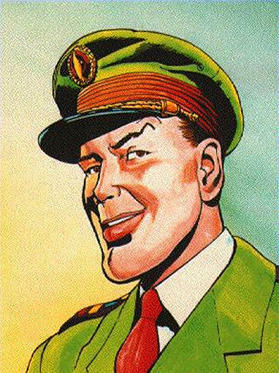 The Treens were the main villains in the Dan Dare strip. They were Venusians whose emotions had been repressed. They looked at things in a very cold and logical manner. At the same time they were also xenophobic and looked on all other races in the universe as inferior to them. They wished to conquer all other life forms and despite being emotionless, they gloried in crushing lesser races. The Treens were a huge inspiration on Doctor Who’s 3 main villains The Daleks, The Cybermen and The Sontarans. Like the Daleks they are xenophobic, ruthless monsters who seek to conquer other races. The first two Dalek stories where greatly inspired by early Dare stories too. The first Dalek story saw the Doctor and his companions land on Skaro, the home planet of the Daleks where there are two races the Daleks, evil, cold, logical, yet xenophobic monsters who live in a city surrounded by a lake of monsters and the peaceful and blonde Thals, who the Doctor must convince to fight back against the Daleks, but who are reluctant to due to a previous conflict. This is a similar premise to the first Dan Dare strip Voyage to Venus where the Treens, evil, cold, logical, yet xenophobic monsters who live in a city surrounded by a lake of monsters, are planning to unleash their weapon on the earth, and Dan must convince the blonde and peaceful Therons to help him fight them, when they don’t want to due to a previous conflict. The Dalek Invasion of Earth meanwhile was inspired by the Dan Dare strip The Reign of the Robots which sees the Mekon and the Treens conquer earth in Dare’s absence, and rule it with the aid of robots. The Mekon controls the robots through a speaker in his chair, which one of Dan’s friends manages to take control of and give new orders to turn on each other. In the Dalek Invasion of Earth the Doctor discovers that the Daleks have invaded the earth in his absence, and they rule it with the aid of robotized humans, whom the Dalek Supreme controls through a speaker. One of the Doctors companions then takes control of the speaker and gives the robomen new orders “turn on the Daleks” which leads to the end of their invasion. Both stories also use the monsters as metaphors for the Nazi’s and almost use them to present a “What If” scenario where Germany won the Second World war. We see British citizens rounded up into concentration camps, talks of horrific experiments on them and stormtroopers (in the daleks case actually performing the Nazi salute!) marching down familiar London landmarks. The Cybermen’s cold and logical nature meanwhile was based very closely on the Treens too. 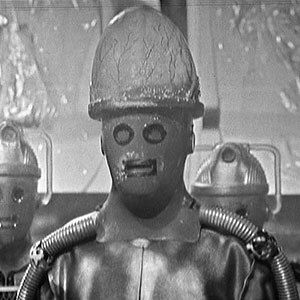 Dr Kit Pedler who created the Cybermen has said that the Cybermen “were very like the Treens”. Also the first Cyberman story The Tenth Planet is based very closely on another Dan Dare strip The Red Moon Mysteery, though this does not feature the Treens as the main villains. Finally the Sontarans love for war as well as their appearance was also based on the Treens too. It is also worth noting that a benevolent Treen that works alongside Dare is even called Sondar! The Hawkmen meanwhile are residents of the planet Mongo. They live in a city called the Sky city that hovers in the air as a result of anti gravity beams. They are commanded by Vultan, a barrel cheasted viking with a fondness for the ladies and fine food. He also has several wives. Initially the Hawkmen start out as enemies of Gordon, but after Dr Zarkov saves their city, they become his allies and play a major role in overthrowing Ming. 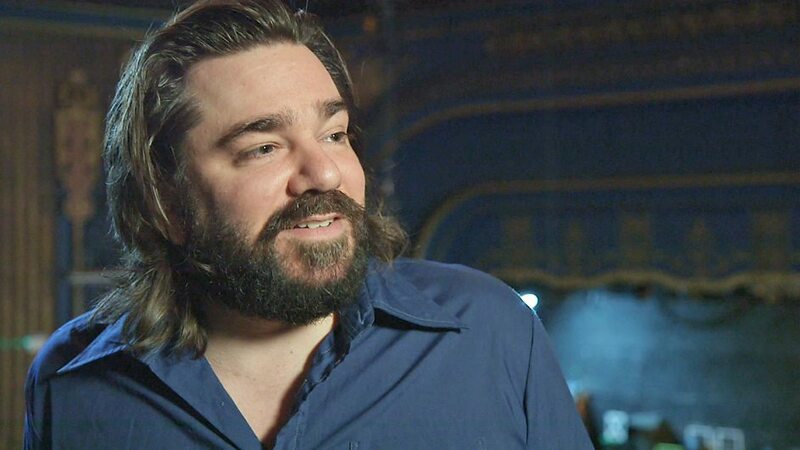 They have appeared in most adaptations of Flash Gordon over the years, though arguably their most famous portrayal is in the 1980 Flash Gordon film where Vultan was played by Brian Blessed. Whilst there have been many aliens and monsters in Flash Gordon and Dan Dare these two races are without doubt the most iconic. But which is better? Its a tough choice, but I think I am going to go with the Treens. The Hawkmen are a brilliant creation. 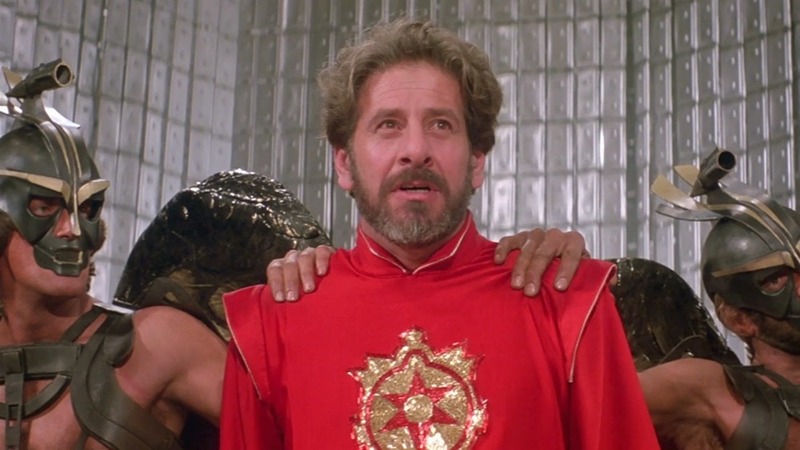 They are also without doubt one of the most absurd alien races in anything, but Flash Gordon is something that always has to have a certain camp quality to it. Definitely the greatest moment in the 80’s film adaptation of Flash Gordon is when the Hawkmen attack the Ajax spaceship. They had a viking Brian Blessed leading them and Queen performing their battle music. Of course they were going to win! Vultan has gone on to become arguably Brian Blessed’s most iconic role. Apparently the Queen herself is a fan of Flash Gordon and when she met Brian Blessed, she even asked him to perform Vultans most iconic line “Gordon’s alive”. Still despite having the advantage of Brian Blessed, I am still going to go with the Treens as I feel they are more important in the history of science fiction. Its not just simply because they inspired the likes of the Daleks, the Treens I think were really the first aliens who had a vast empire. They didn’t simply rule over one planet, and they weren’t simply invaders like the Martians in War of the Worlds whose life and society we knew nothing about. They were a full fleshed out society of alien invaders and in this respect were really the forebears of not only the likes of the Daleks, but the Klingons too. Therefore I am giving this one also to Dare. Sondar is definitely the type of alien that Tom Baker would fight, whilst Princess Aura is definitely the type of alien that William Shatner would “fight”. Sondar and Auroa both initially work for the main villains of the strip, The Mekon and Ming the Merciless. Aura is in fact Ming’s daughter. However ultimately both end up becoming allies of the main hero. Dare helps Sondar to stop repressing his emotions like the rest of his kind, whilst Aura falls in love with Flash and ultimately ends up betraying her father. Now this time I am going to go with Flash Gordon. I think Aura had more of a character than Sondar. In some ways she was a bit cliched, but still I think it was quite interesting watching how she went from an evil villain, to a benevolent ruler after her father was overthrown. Sondar however whilst he was quite an interesting idea., that was in some ways ahead of its time (a logical alien among a crew of humans.) Ultimately I don’t think he ever really had much of a personality so I am giving this to Flash. This one I am definitely giving to Dan Dare. Dale is a decent enough love interest, and is more than capable of taking care of herself. Peabody on the other hand however is a super genius, and regularly plays a key role in helping to save Dare and the others. Though she is the only woman in the group at no point is she portrayed as weaker, or less capable than they are. Whilst she may no be as iconic, I am definitely going to rate Peabody above Dale. To me there is not really any competition here. Flash Gordon easily takes this. I did like Digby, but again much like Sondar he never really had much of a character beyond being the idiot savant of the group. Zarkov once again I think not only went through some more development, starting out as a somewhat villainous character, but I also found him to be a much more interesting as a character anyway. He is that classic mad scientist as opposed to just simply being a bit of a lovable oaf like Digby. Flash takes this. Final round which of the two main characters is better. Well this is a hard one. On the one hand I found Dan to be a bit more likable at times. Dan is a hero much like the Doctor in the sense that he is not only the perfect gentleman, but he also prefers a non violent means to solving his problems. However at the same time I think that Dan could perhaps be a bit more straightforward than Flash. At times he seemed like a bit too much of a stiff upper lip type of hero who never does anything wrong and always has the answers. Ultimately I think I found Flash to be slightly more interesting as a hero as he was more human, in spite of how larger than life he was, so ultimately I am going to go with Flash here which makes our final score. I guess it was just too hard for me to pick who was superior between these two sci fi icons. As you can see I prefer the monsters and villains in Dan Dare, but I find the main characters of Flash Gordon more interesting. I think that most people would agree with me on that as Dan Dare regularly changed its supporting characters unlike Flash, whilst at the same time Flash had many enemies aside from Ming, whilst the Mekon remained Dan’s sole recurring enemy for many years. Overall both are classics and whilst I like certain things about one better than the other, ultimately I am for the first time ever unable to decide so I am calling this a draw. Not the most imaginative casting as he played a similar role in Guardians of the Galaxy, but still dye his hair blonde and he’d be a great Flash. I don’t think I need to explain this? Again I don’t think I have to explain this? You can increase the enjoyment of anything by 50 percent if you include Jennifer Lawrence in it. I don’t think she would struggle too much with this role as the exotically beautiful sympathetic villainous character who eventually turns good? Who else to play this big mighty, boisterous, woman obsessed character who shouts a lot? I could definitely see him capturing the characters manic and pompous qualities no problem. He’d be dashing and gentlemanly enough, plus he has that big massive chin. Yeah I know obvious choice isn’t it? It might be quite nice to see her get a chance to play a heroic character, and she’d get to keep her naturally blonde hair. 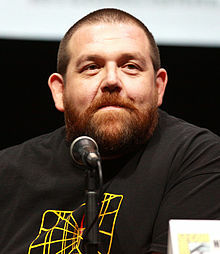 Quite a good comedy actor and quite a good match for Digsby in my opinion. He’s maybe a bit too young for Digby, but still with some make up he could play the role. 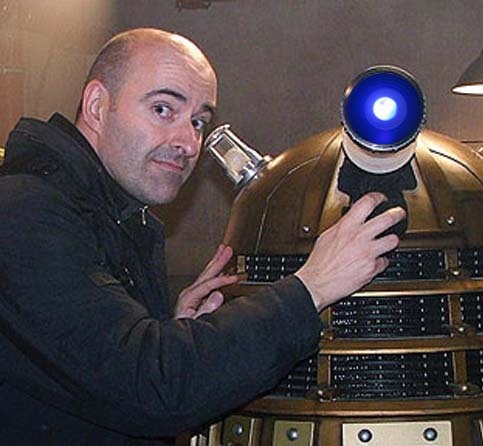 Nicholas Briggs performs the voices for the Daleks, the Cybermen, the Ice Warriors, the Nestene and the Zygons in the 2005 Doctor Who series. I am sure he could provide a suitably unique and sinister voice for the Treens too. Yeah I know again not a big surprise. Obviously I’d cast him in anything. Imagine this voice. It would be a perfect combo for a villain.